Add "-DZ" to the end of the product code to order by the dozen. Green meshed nets are not always available.. Innovative aquarium fish nets featuring red nylon meshing. These nets are designed to safely catch aquarium fish with greater ease. 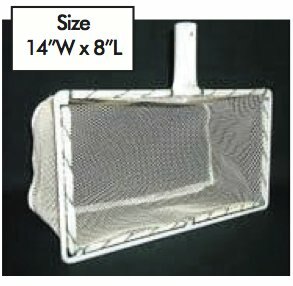 The fine red colored mesh makes nets difficult for aquarium fish to see Penn Plax Infra-Red Quick-Nets offer a safer, easier way to catch aquarium fish. Twisted wire plastic-coated handle features a plastic-sleeved end loop for comfortable, stable grip. Penn Plax Infra-Red Quick-Nets are available in multiple sizes for safe and convenient capture of aquarium fish of varying sizes. All wood handle with heavy-duty galvanized steel frame. 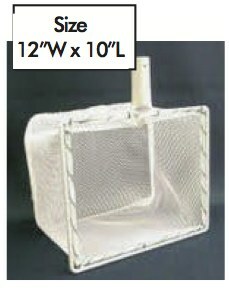 Steel net guards are standard on each except skimming net. All mesh is knotless green nylon. Replacement bags are not available for these nets. These nets do not need any protection because their unique monorail design is a natural guard. Bag replacement is fast and easy. The lightweight frame is made of strong extruded aluminum. All of the monorail nets come with 3/16″ soft white knotless nylon netting. Replacement bags are available for all monorail nets, please inquire. 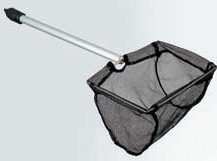 These nets are designed especially for handling small fish in ponds, tanks or large aquariums. Each frame and handle is all aluminum and securely attached. These nets have a protector across the face and a sleeve over the junction of the net frame and handle to protect all edges from coming into contact with fish. 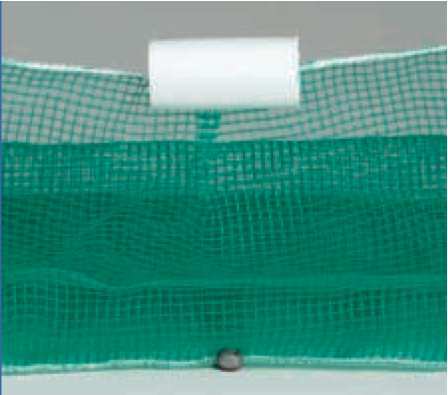 Net bags are poly mesh. A-11 and A-12 have 1/4" black mesh. 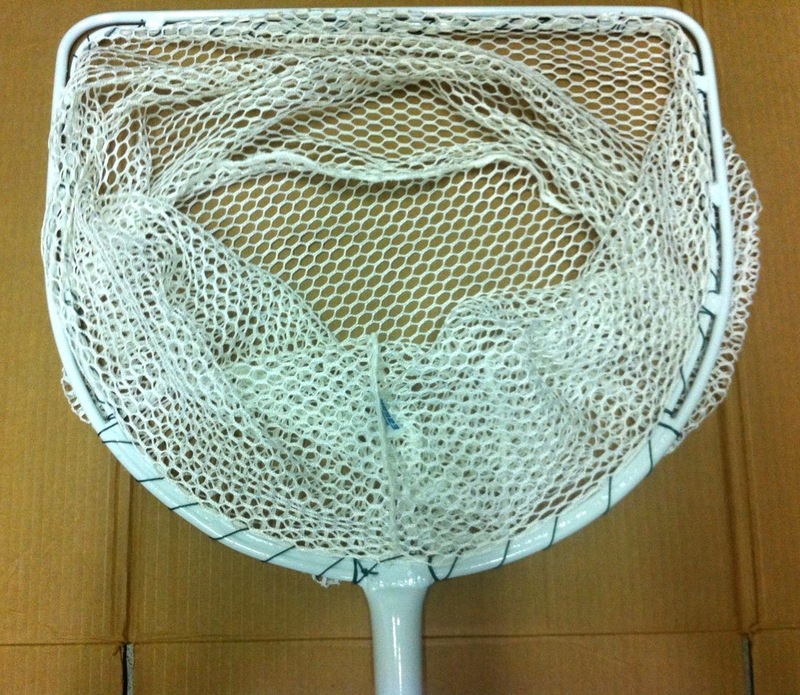 A-13 and A-14 have 1/8″ white mesh. For pond, tank, raceway and pool cleaning. Super strong net and net attachment designed for long life. 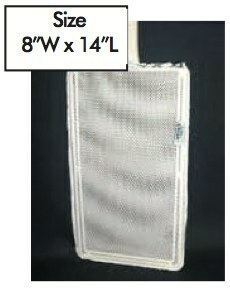 Full aluminum, plastic-edged frame shields net from sides and bottom area while still efficiently collecting. Scoop front edge aids in collecting either surface or bottom debris. Replaceable net. Bow Size: 17" x 19"
Closed Completely: 5" x 25"
Collapsible bow for easy strorage. Soft ¼" black mesh flat bottom nylon netting. Black Mesh. Handles are finished with caps and loop hangers. 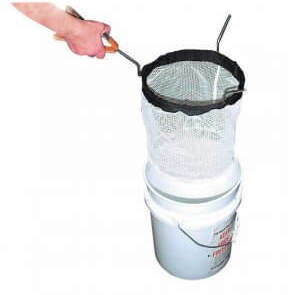 This high quality net is designed to set onto a 5-gallon bucket for transferring fish. The net is made with a stainless steel frame. Heavy 1/8" knot-less netting is gentle on fish. This net will last for years. Full aluminum frame shields net from tank sides and bottom while still efficiently collecting. Scoop front edge aids in collecting from bottom of tank. Super strong net and net attachment designed for long life - will lift over 50 pounds. V design on edge cuts water quickly, much faster and better when scooping. Replaceable net. All nets are supplied with 1/4″ black mesh. The following high quality dip nets are available from Dynamic Aqua-Supply Ltd. 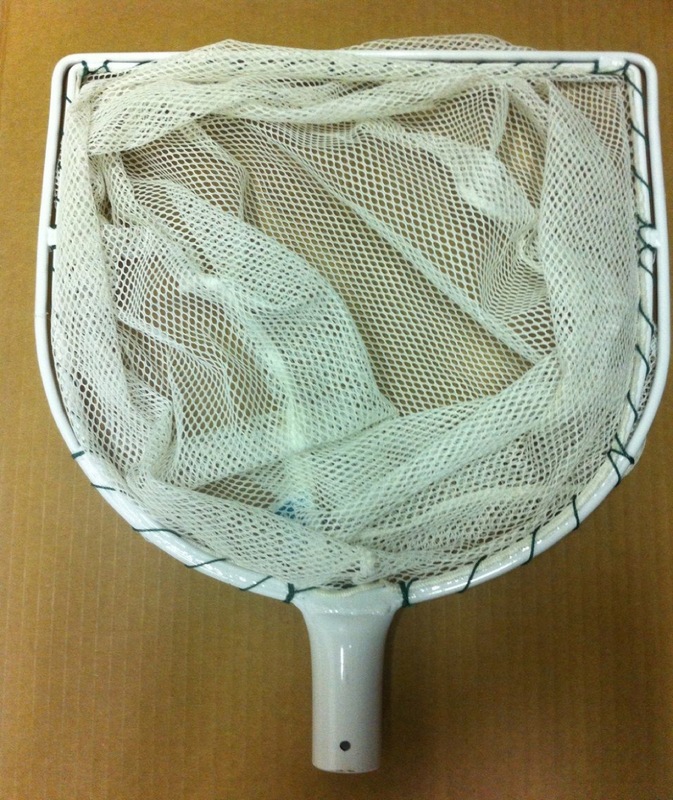 These nets are made up as needed so please allow a 3 to 4 weeks lead time when ordering. Some of the more populra sizes may be in stock. • Frames are epoxy coated for protection against rust and corrosion. • Inner tie rings prevent net bags from being scraped off of frames. Space between inner tie ring and outer ring is close enough to prevent loss of small fish, yet still allows bags to be easily tied to frames. 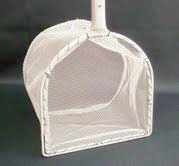 • Nets come complete with bag and handle. 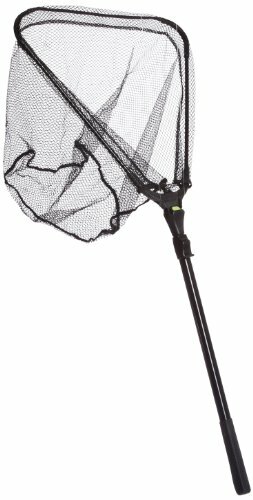 • Nets come standard with 3.5 foot heavy-duty ash wood handle. (Longer and aluminum handles are also available. See below for pricing on longer and replacement handles). • Standard bag depths are 8″, 12″, 18″ or 24″ (other bag depths are also available). Add the price below to the dip net price. These handles will fit the Large-D, Small-D, Mini-D, and Circular Nets above. Aluminum adapter is required to use the 6' or 12' foot aluminum handles. 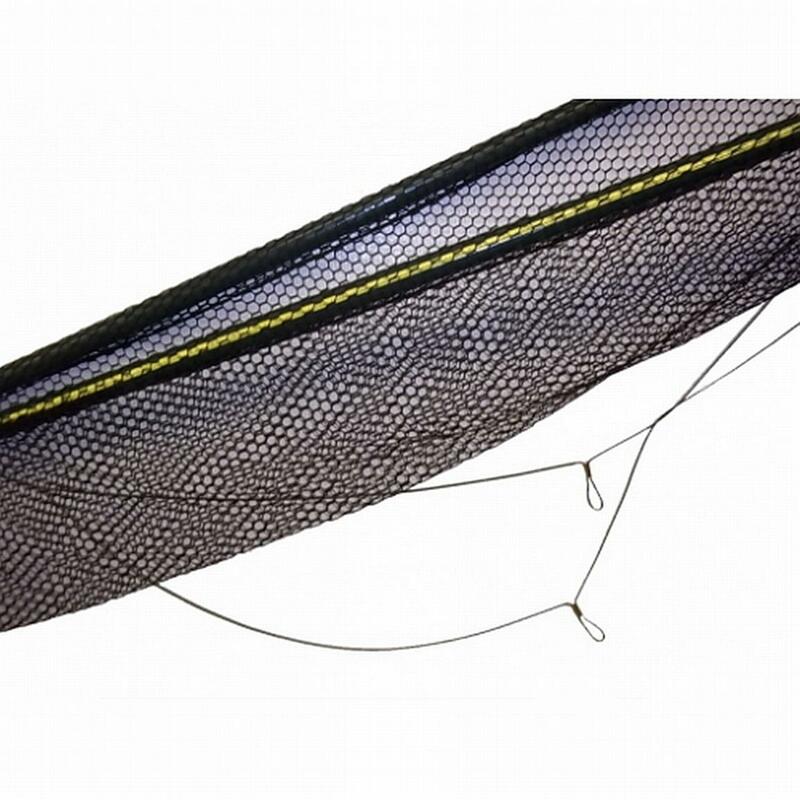 The following high quality dip nets are available from Dynamic Aqua-Supply Ltd. These nets are made up as needed so please allow a 3-4 weeks lead time when ordering. Some of the more popular sizes may be in stock. • Inner tie rings prevent net bags from being scraped off of frames. • Nets come standard with wood handle in any length up to 36″ (longer handles are also available). • Standard bag depths are 2″, 4″, 6″, 8″, or 12″ (other bag depths are also available). 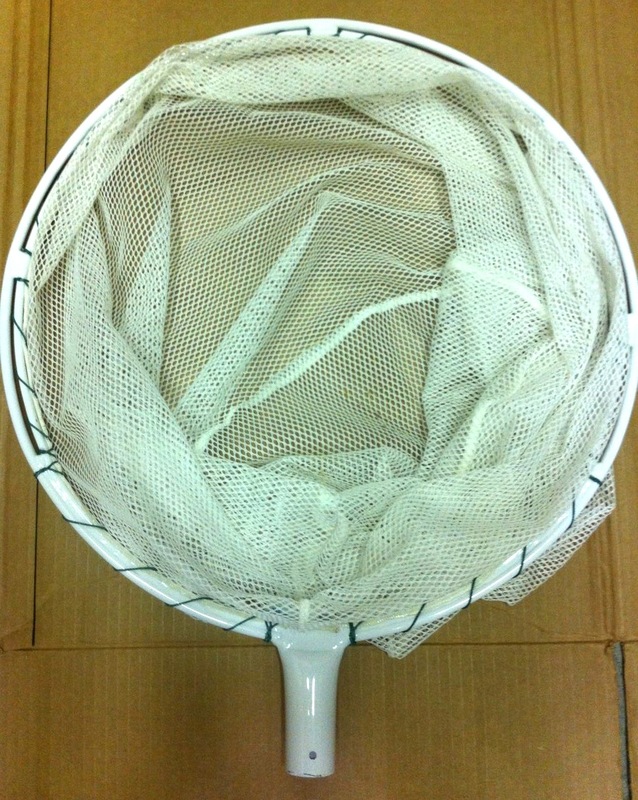 We welcome orders for custom-made dip nets and replacement bags. 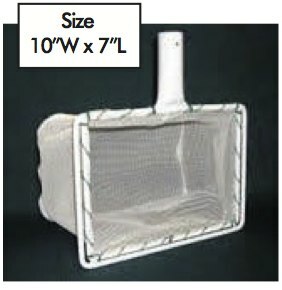 Please specify the mesh size, frame dimensions, handle length, and bag depth when ordering. Please allow two to four weeks for manufacturing and delivery. This all plastic storage stand is unaffected by water or humidity and is easy to clean. It is sturdy, lightweight, requires minimal floor space and is easy to assemble. Stand holds up to 24 nets with handles up to 1-3/8″ in diameter. Measures 18″ x 18″ x 18″. Weighs 7.5 pounds. These nets are great for handling large fish. CN34 features black, super soft, 1/2" mesh, nylon material that will not harm the scales or slime coating on fish. CN34 Nets feature heavy-duty 1-1/8" wood handles and a hang cord for weighing the fish. 34" Net, 42" handles, 22" wide. The MC-2 has Tangle-Less netting that helps prevent damage to gills and fins of any game fish and comes with 1" diameter, black, fluted aluminum handles. The MC-2 is 56" long, with foam hand grips. Model MC-2 features 1/4" black ACE nylon netting. Packaged one each, these cradles ship in a reusable corrugated tube. White, 100% nylon netting. Extra strong, will not mildew, long lasting and fast drying. Available in custom lengths (Pricing is per linear foot) or in pre-cut lengths of 5, 10 or 20 feet. Constructed from green treated knotless nylon mesh, with light-duty floats and leads. 2 Mesh sizes available, 1/8" and 1/4". Nets are all 4 feet deep. Complete with floats and leads. White Ace Nylon mesh. Available in 1/8″, 3/16″ or 1/4″ mesh, depths of 4′, 6′ or 8′. Priced by the linear foot. Please allow 3-4 weeks for manufacturing. Evafloat net floats are made of ethylene vinyl acetate copolymer (EVA), which offers high tensile strength; durability; resistance to pressure, sunlight and abrasion; buoyancy; and a much longer life expectancy than PVC net floats. Each Evafloat has internal nylon grommets and will give years of worry-free service as your seine float, rope barrier or marker buoy. NF4 Evafloat, White, 5" Length, 3-1/2" Diameter, 5/8" Hole Size, Weighs 0.15 lb. NF5 Evafloat, White, 6" Length, 3-11/16" Diameter, 5/8" Hole Size, Weighs 0.18 lb. NF6 Evafloat, White, 5" Length, 4-3/8" Diameter, 1" Hole Size, Weighs 0.26 lb. Extruded polyethylene plastic. Won't rot or rust. Non-toxic, and non-corrosive. Specially treated to resist sun and chemicals. Black. Extruded polyethylene plastic. Won't rot or rust. Non-toxic, and non-corrosive. Specially treated to resist sun and chemicals. Black. 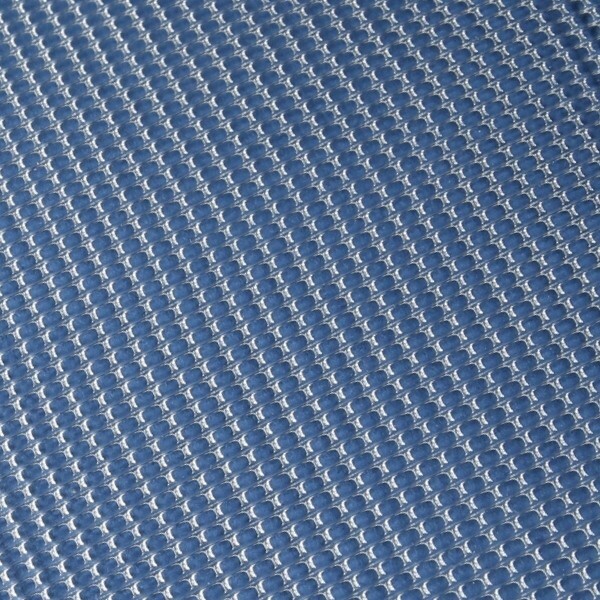 1/16″ plastic netting is natural white in color, not UV inhibited. Plastic bird netting. Constructed of black polypropylene. Extruded plastic. Won't rot or rust. Non-toxic, and non-corrosive. Specially treated to resist sun and chemicals. Please inquire for pricing on longer lengths and complete rolls (3000' or 5000'). *Discontinued when stock runs out. 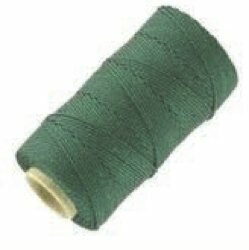 These unique fasteners are ideal for attaching predator netting and shade cloth to support rope and wires. Constructed of tough polypropylene, they can be used over and over again. Simply attach to support wire. Recommended spacing is one poly-clip per 2 feet (depending on load). Strong and flexible molded plastic. 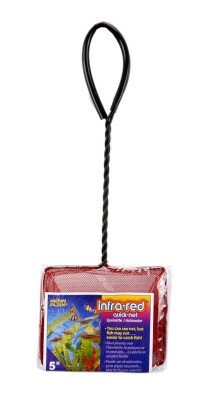 Holds knots tighter than regular twine. Bonding agent will not wash out. Suitable for use with all styles of netting, inclding polyethylene. High abrasion resistance. Green in color, twisted construction. 1 lb tube. Braided Seine Twine is the most popular all around twine. It doesn't untwist or kink. Excellent for net repair, float and lead line hanging and trap heads. Knots tighten with use. White in color, 1 lb tube.